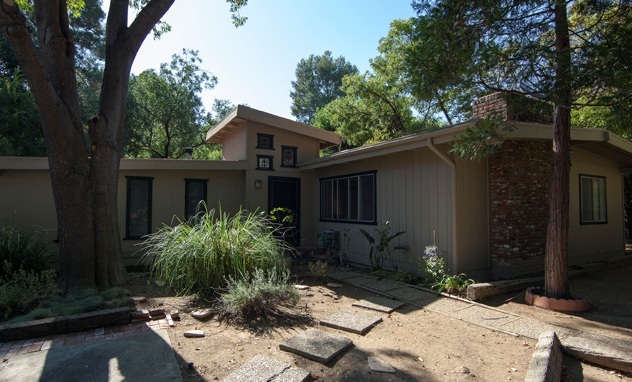 Spacious 3 Bedroom, 2 Bath mid-century in peaceful location near hiking trails. Open floorplan w/ living room and master bedroom fireplaces. Situated amongst the trees with wood deck. Well maintained. Quiet, convenient location on dead end street.